When to plant grass seed depends on the type of seed & the area you are planting in because of the difference in the climates of different areas regionally. The situation will vary from state to state. Types of seeds are broken down into two categories. Cool weather types and warm weather types. What’s the best time to plant grass seeds? We will briefly cover what you need to know when planting your grass seed. We all would like to have a good-looking lawn so these are the 8 steps you should follow to achieve it prior to planting. This correlates to whatever time or region you are in at the time of planting your grass seed. Below are charts that give you the zones and times to plant your grass seeds to help you choose the right time of year for your particular location. They show the warm weather regions & the cold weather regions. You can get a better look by right clicking on the image and open each one up in another tab. This is a chart to help determine what type of seed to use according to the climate. The type of seed in reference to climate will be determined if you are in the cool or warm region of the United States. This will be explained later in this post. This is where you want to get the planting area ready. You dethatch your lawn removing all dead grass and debris. It is good if you can aerate the soil as well. This is done by punching holes in the soil using an aeration tool or equipment. The really good thing to do is to test the soil. This calls for being a little bit more advanced with it. I’m sure most people don’t worry about doing this step. If you decide to you can buy test kits and send it off for results. You are checking for Nitrogen, Phosphorus & Potassium in the soil (N, P, K). Also, the pH levels are checked. There is Alkaline (above 7 pH) & Acidic (below 7 pH). The best level is 6.5 to 7 for the best results. Then if your soil needs to be treated you can with fertilizers or compost. There are two different types of seed. Each type has a variety of seed that falls into each category. Cool Season Grasses – The best time to plant these types are Mid- August thru Mid October. Warm Season Grasses – The best time to plant these types are March thru September. If you are seeding a new lawn spread it generously to get a good bed of grass. Make sure to add compost to help protect the seedlings. If you are overseeding your existing lawn, you are basically trying to thicken the thin spots or making the warm season grass keep its color with some cool season grass seed. We want to water a newly seeded lawn twice daily to keep the soil moist. As the roots set in you can lessen the watering. Usually around two weeks. As you are inspecting the seed establishment you will know when the time comes. Remember not to water in the heat of the day. Try mornings instead and avoid late evenings. And do not over water and wash the seedlings away. As the grass is growing refrain from cutting it until it is about 3 to 3 1/2 inches long. Make sure your blades are sharp and don’t cut below 2 inches long preferably 2 /12 to 3 inches long. Once it is being cut, never remove more than 1/3 of the blade of grass. After you have planted, you should start to see results no later than two weeks and a soon as a few days. Remember to keep the topsoil moist during seed germination. It should germinate in 5 to 30 days. Do your best to keep feet off the area as much as possible. that can compact the soil and seeds germinate better in loose soil. and supply plenty of water the first two weeks. You can help the grass take quicker & stronger by fertilizing but top soiling with compost is better. The compost will help supply the necessary nutrients but also assists in keeping the soil from compacting. Do this, and you should have decent results with your lawn. Thank you for visiting and I hope this post gave you some insight on a project you may be considering. Please leave any comments or questions to help out the other visitors. That is what this is all about. Feel free to sign up for Lawn Care News to stay informed. Thank you for the information, it is very interesting and useful. I have a question that I do hope you will be able to answer. I currently have turf down, but thanks to my lovely dog, there are some patches appearing. What would you suggest, to add some seeds on the patches, or put down a new turf.? I am not very good at gardening at all, so your advice would be very much appreciated. I would suggest that you dethatch the area pulling out all the dead grass and loosen up the soil. Then find out what type of grass your turf is and plant seeds in that area. Use compost to help the seeds grow well and keep them moist. and wait for the growth. Just so you know that dog urine burns the grass. That is why you are having those spots. You probably are going to have to train your dog into using a designated area to use and it will help cut down on multiple spots in your lawn. I hope this helped you. Great question and thanks for visiting. Great information here. I really should do something with my lawn, I have dead patches and it just looks bad. Could I seed just the patches or would I have to do the whole lawn? I imagine if I just did the patches you would be able to see the difference between the old and new grass? Great question. Yes, you can just plant in just the spots. But what you want to do is try to find out what kind of grass you already have on your lawn. 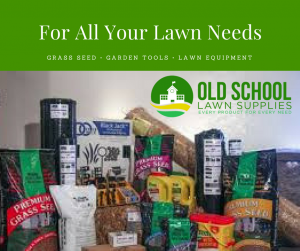 When in doubt I suggest taking a plot of your grass to your local lawn and garden store and getting some assistance on what blend of seed to use. This will help from the spot looking really different once it grows in. It should not look too out of the ordinary this way. Remember to loosen the soil in that area as well. I hope this answered your question. After your plant do you recommend putting down any lime to fight away weeds and unwanted grass? Or with fresh seeds you do not need to worry about weeds? What you want to do is apply lime to your soil if the pH of the soil is under 5.5. When you are preparing to plant your seeds you can test the soil to see where it stands. The perfect pH will be 6.5 to 7.0. As far as the weeds go, you want to pull those up before you plant from as deep as you can at the root. You can use weed kill as you see them but pulling them from the root is the best way. Thanks for asking and I hope that answered your question. a great article. Now I know when to plant the grass seed. and the method of planting. Is it the same method for vegetable and fruit seedling too?. Pretty much the same all around. You want to make sure you have good soil and that it isn’t compacted to restrict root growth. Watering it properly and making sure they are getting their nourishment like plant foods. If you baby them they reward you with healthy growth. The time you plant them will depend on what you are planting and whether they are indoor or outdoor gardens. That is excellent information. I live in Maine, so we have colder climates more than warm. We have been trying to grow our lawn, in a tree-shaded area but haven’t had much luck. I will save this page for pointers on the proper way to plant the seedlings. Thanks for the great article. I’m glad you found it helpful. That is the main reason I added lawn care news to this site so that people can get information to assist in all their lawn care needs. Also, Laurie if you guys have a lot of shaded areas, Pennigton has a smart seed to help out growing in those types of areas. Good luck and happy growing. Cool, is this method compatible for all kind of grass seed? Yes, it is. but between the regions, there are different seeds and times to do it.